Are you looking for a really unique children's gift idea for that child that has EVERYTHING? Well, I am so excited to share Just Me! Music's CDs as a great gift idea for any child! These are so cool and I can tell you my son is loving hearing the VeggieTales say his name in some of his favorite Silly Songs!!! All of Just Me! Music's CDs are built with popular songs from the brand and unique character dialog is chosen to fit between each song. The dialog that characters have between songs helps bridge the songs together and weaves a story throughout the complete CD. 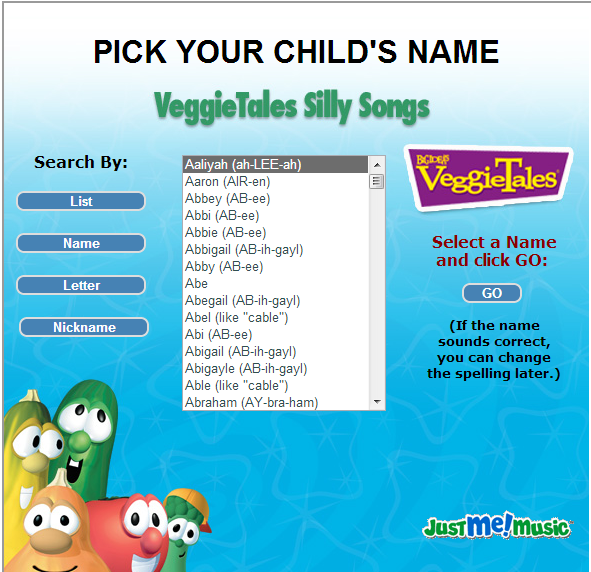 JMM works with the most popular children's brands, including Disney® Princess, Elmo®, Disney® Mickey and Minnie Mouse, VeggieTales®, The Wiggles®, to create personalized CDs and books that incorporate a child's name throughout each song and literary adventure. With more than 1 Million products sold, customers can select from thousands of names to bring even the most unique child's name to life. These CD's are really easy to order and personalize to get the CD to say your child's name exactly as you want them to pronounce. You can browse hundreds of names to find the one closest to your child's (and believe me, they have even the unique names because they even had my children's!). Then you can spell it the way you want to! My son's personalized CD was so fun to listen to and they said my son's name perfectly throughout! My son asks me to play this CD non-stop and he never gets tired of singing with the characters and giggling as he hears his name! This is such a fun gift idea for any child! Highly Recommend!!! 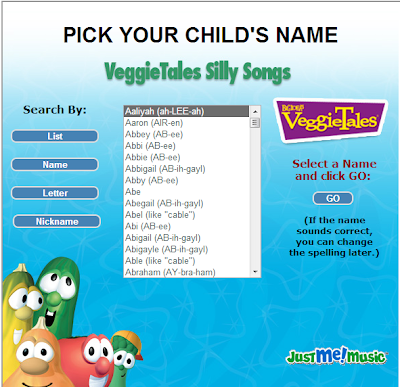 Buy It: You can purchase the Silly Songs with VeggieTales CD for $19.99 from the GiftMedley website.